Living in a house with 3 boys there seems to always be an injury . 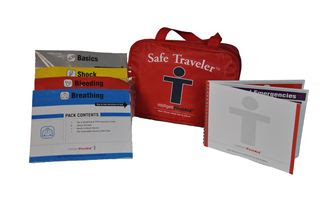 I recently had the opportunity to try the Intelligent First Aid Home & Travel kits. These kits are great and have EVERYTHING you may need to cover injuries. I like that every packet has instructions on things to look for and how to do it. Intelligent First Aid works with medical and educational experts to develop their first aid kits with injury specific packs that contain all the supplies and instructions you need to manage the most common injuries. Their home and travel kits are perfect for anyone to have to be prepared. I keep the home kit in one place in the house so everyone knows where it is when it is need.The travel kit always stays in our car, we travel a lot during the summer. So no matter if we are on a trip or on the way to the store we have it if we need it. I love how they come in a great carry pack and everything is divided into neat little sections. 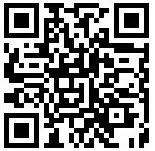 It makes it so easy and fast to find what you are looking for. Work Place First Aid Kit: Workplace First Aid Kits utilize the patented injury pack system that organizes top first aid supplies and instructions by injury category. School First Aid Kit: Ultimate First Aid Kit provides schools and other institutions with top medical supplies and first aid visual instructions covering the most common injuries. 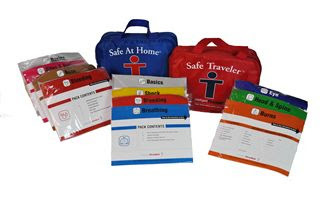 Intelligent First Aid kits were a "Best Buy in Safety For Your Family" in Good Housekeeping Magazine and also received an IParenting award in 2005. Intelligent First Aid is giving a Summer Party Contestant a chance to win a Home First Aid Kit. Read how to enter below and put your entry(ies) into the form! VISIT Intelligent First Aid and tell us one fact about the company or one of their products.